The manifestation on the United Nations Day, October 24 2015 at UNday.org! Join us in Celebrating United Nations Day, October 24 2016! 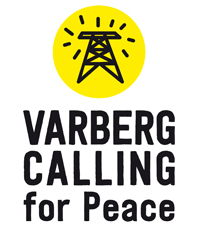 In a live broadcast pupils from Påskberskolan in Varberg, Sweden in collaboration with pupils from Mejrup Skole in Holstebro, Denmark will present their messages about peace, sustainability and children’s and humans rights to the world, including politicians and policy makers. They will do this via the World Heritage Grimeton Radio Station with the help of Halland’s Reginal Theatre, Sweden. To all of our futures! 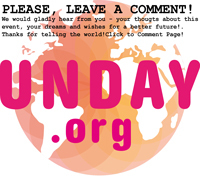 You can interact with the transmission and comment on it here on our blog or on Facebook. The morse code message of peace, written by pupils from grade 8 at Påskbergskolan, Sweden, is broadcasted via the long wave transmitter at Grimeton Radio station. The programme continues with short films made by Swedish and Danish pupils from grade 6 and a peace song, conducted and performed by the school choir at Påskbergskolan.